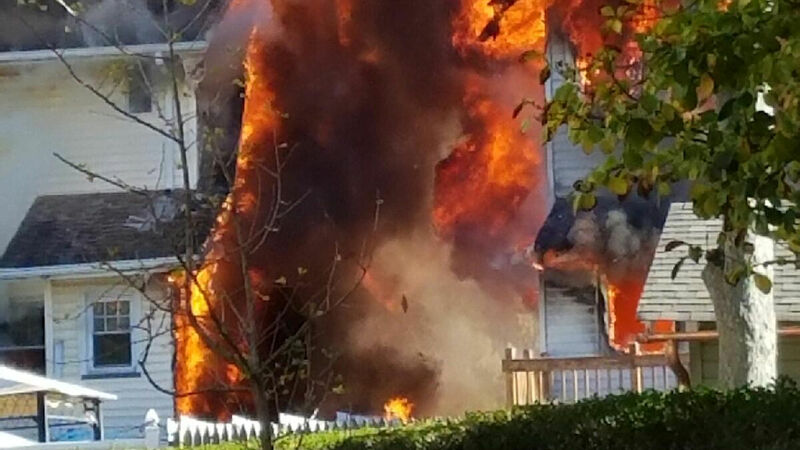 CALDWELL, New Jersey (WABC) -- Several homes caught fire on Caldwell, New Jersey, on Friday. It started around 3 p.m. at 29 Orchard Square. That home has been destroyed. It then spread to two other homes, one of which has also been reduced to ash. Firefighters then moved on to try to extinguish the flames at the third home. At least one firefighter suffered minor injuries.